Yet another lovely and very old book I recently added to my collection is the third volume of Oliver Goldsmith’s An History of the Earth and Animated Nature which although available online through the much appreciated resources of the Internet Archive has unique and unmatched appeal as an actual object aside from reading, at least in my opinion, always being much more enjoyable from the page than it is from the screen. The copy in my hands was published and bound in 1795. It has a badly deteriorated binding and cracked spine with it’s pages intact although a few are loose. 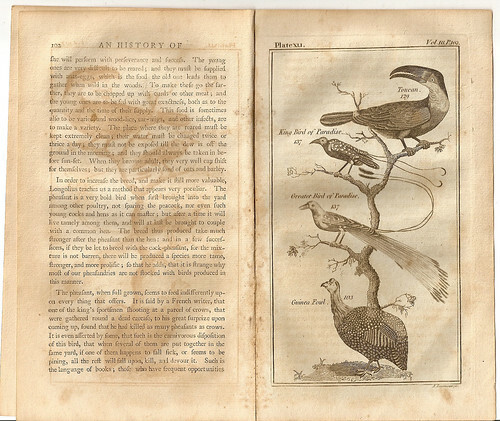 On the opposite page of all illustration plates, there is an intriguing left impression of ghost images which have faded to a pleasing sepia tone and are really quite beautiful in their own right. 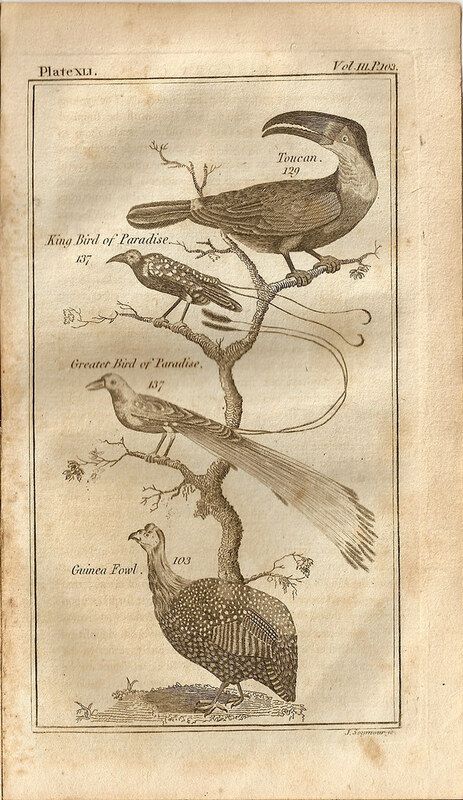 I’ve always loved the language in which natural history book of this period are written and that this author refers to various species of animal as “their kind.” Various kinds of bird and amphibious creature are covered in the present volume. 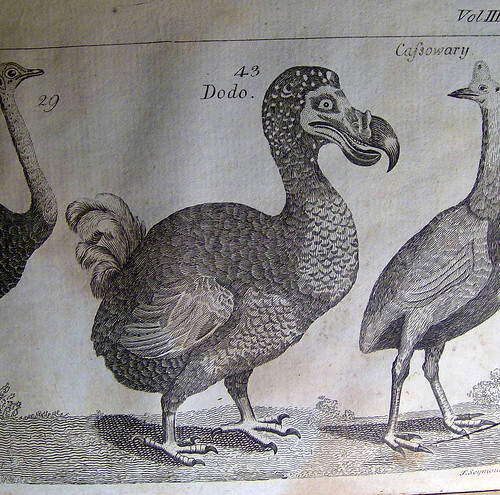 Here is a passage on the Dodo. 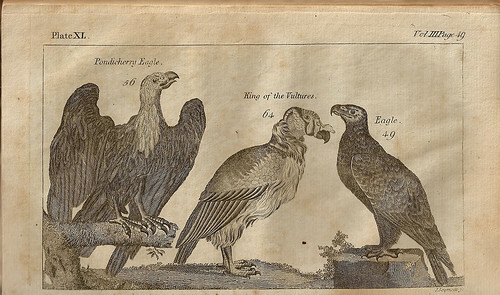 The author writes as though this species is still around at the time of publication. Whether that is true or not, his description gives some indication as to the reason for the poor bird’s past or future extinction. I’ve included photographs of the text. Larger more readable versions of all pictures are viewed by clicking through to my flickr account.